Toothbrush sanitizers help keep our toothbrushes germ-free so you limit your exposure to harmful bacteria. We know we need to take care of our teeth, but we often don’t pay a lot of attention to our toothbrushes. It may seem like a small thing, but toothbrushes can be a breeding ground for germs (Source) including E. coli and staphylococci (staph). 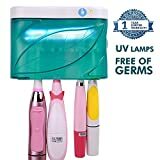 Toothbrush sanitizers help fight bacteria using ultraviolet light that kills most of the germs. All you need to do is remember to put your toothbrush into the sanitizer after you’ve used it. There are different types of toothbrush sanitizers — some designed for the counter in your bathroom, some designed for multiple toothbrushes, and others designed so you can take them with you when you travel. Here are five top-rated toothbrush sanitizers, which may be just what the doctor ordered. 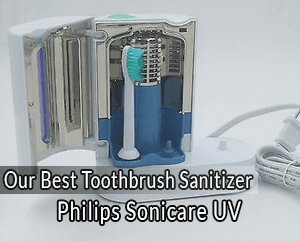 Phillips has been making amazing electronic products for a very long time so we were really excited to test the Philips Sonicare UV Sanitizer. And thankfully, it delivered on all fronts and became our number one pick for the best toothbrush sanitizers list. This unit is capable of holding and cleaning two brush heads at a time. So if you are a couple and need a great toothbrush sanitizer, the Philips Sonicare UV Sanitizer is certainly the best one around. It is designed to be easily used and comes with the latest technology. Philips claims that the Philips Sonicare UV Sanitizer is capable of eliminating 99.9% germs on your toothbrush. This means you’ll be kept safe from cold and cough as well. We also really like that the Philips Sonicare UV Sanitizer accommodated almost every toothbrush head we tried with it. There is also an automatic “turn off” feature that shuts off the UV lights after 10 minutes. There is a reflector that can spread the light evenly for even greater performance. When it comes to design, the Philips Sonicare UV Sanitizer scores really high. It is made out of sturdy materials and can take normal wear and tear with ease. The design also makes it very sophisticated and sleek looking so it won’t be out of place in a standard washroom. With a simple press of a button placed on the top of the unit, you’ll be able to keep your toothbrush sanitized without much effort. Can store up to 2 brushes at a time. Auto shut off feature is great. The eJiasu Travel Toothbrush sanitizer is a very affordable device that is available in 2 different colors. It is basically a jewel case that you can use to store your toothbrush. It uses good quality materials and is sturdily made, so you don’t have to worry about damaging it during your travels. The toothbrush sanitizer is able to kill bacteria and prevent any kind of infectious diseases, cavities, and gum diseases to propagate. It is able to kill 99.9% of the germs on the toothbrush so you’ll always have a clean brush to use. There are ultraviolet light bulbs inside the case that do most of the heavy lifting. They are extremely efficient and won’t need any replacement for a very long time. In fact, the company says it will last you as long as the case remains intact. While the toothbrush sanitizer case is compact, it is able to fit almost any toothbrush in. 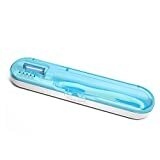 Even if you’re using an electric head toothbrush, the eJiasu Travel Toothbrush sanitizer will easily keep it clean inside. We also really like how the eJiasu Travel Toothbrush sanitizer automatically turns on when the toothbrush is placed inside. There are no buttons to turn it on, it automatically detects the presence of the toothbrush and starts working. The eJiasu Travel Toothbrush sanitizer is constructed from materials that are anti-bacterial and anti-odor so you’ll always get a fresh toothbrush in the morning. It is made out of sturdy materials. Some customers reported getting defective units. If you have a bigger family, then getting separate toothbrush sanitizers for everyone doesn’t make much sense. Thankfully, you don’t have to invest in multiple toothbrush sanitizers either, the Linsam UV Toothbrush Holder provides that for you. It is especially great if you have kids at home because germs can be more harmful to them. 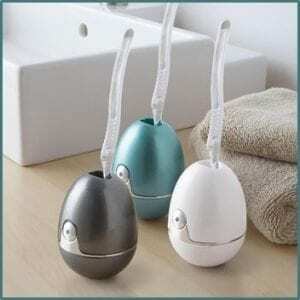 The Linsam UV Toothbrush Holder can easily be used by children as well. It is made of sturdy materials and won’t break during usage. It uses ultraviolet light to kill all the germs on the brush and keep your kids safe from common diseases. It is also FDA approved so you know you’re getting the best service out there. We also really like how there are separate holders for brushes. 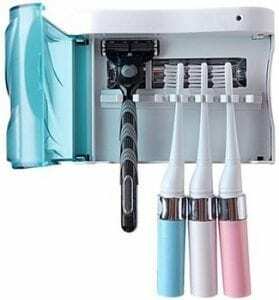 You can easily put 5 brushes into the Linsam UV Toothbrush Holder. The cleaning process starts as soon as you close the lid so you don’t have to actually press any buttons. The Linsam UV Toothbrush Holder can also be mounted on a wall so it won’t take up much space in your bathroom. Overall, if you have a big family, the Linsam UV Toothbrush Holder is the best option available. It is easy to use, made out of anti-bacterial materials and works automatically so your kids don’t have to fiddle around with anything. In short, we highly recommend the Linsam UV Toothbrush Holder not only because it will save you money but also keep your whole family safe from germs. Can store up to 5 brushes. Can easily be mounted on a wall. It is not portable at all. You’ll have to fix it on a wall. The Seasky Deep UV Toothbrush Sanitizer is a portable sanitizer that you can take anywhere without much problem. One of the best things about this toothbrush sanitizer is its design. It looks wonderfully sleek and stylish and allows you to sanitize your toothbrush with relative ease. Another great thing about the Seasky Deep UV Toothbrush Sanitizer is its size. It is small enough to be carried around in a purse or pocket without adding any bulk. So if you are traveling and need a toothbrush sanitizer to go along, this is one of the best options available. However, it can easily be mounted on a wall in your bathroom as well so you have all the options covered. The Seasky Deep UV Toothbrush Sanitizer opens up to reveal a simple toothbrush holder. Place the toothbrush inside and the sanitizer will go to work shining ultraviolet light to eliminate any germs. The whole process only takes around 3 minutes to finish the disinfection. The UV light can destroy the DNA structure found in bodies of bacteria, effectively eliminating them from your brush. We also really like how you can easily charge the Seasky Deep UV Toothbrush Sanitizer via USB. The UV light can also work for 12,000 hours, which is more than enough for common users. The Seasky Deep UV Toothbrush Sanitizer comes at a very reasonable price. So if you’re looking for a cheap toothbrush sanitizer, this one will do the job nicely without breaking the bank. Can be charged via USB. Can only hold one brush. The Violife Zapi Luxe UV toothbrush sanitizer is specially made for kids. Sure, adults can also use it because the functionalities the same, but the design appeals more to children. There is a ninja on the toothbrush sanitizer and everyone knows how awesome ninjas are. All you need to do is simply insert your toothbrush into the unit and let it do its job. Ultraviolet light will sanitize the toothbrush and only 6 minutes. The Violife Zapi Luxe UV even shuts down automatically when the sanitizing is completed saving you precious battery life. One of the best things about Violife Zapi Luxe UV is that it can be used with any toothbrush whether electric or manual. We also had no trouble using smaller kid’s toothbrushes with the Violife Zapi Luxe UV. It is also remarkably easy to clean. The Violife Zapi Luxe UV has a removable drip tray and can be wiped clean from the inside as well. This makes maintenance a breeze. You’ll also need 3 AA batteries to power the Violife Zapi Luxe UV. This is the only downside of owning this great toothbrush sanitizer. Generally speaking, it is a great way to introduce your kids to better cleaning habits. The Violife Zapi Luxe UV is designed to be fun and easy to use even by children so you’ll don’t have to supervise them all the time. Sanitizes in only 6 minutes. These were some of the best toothbrush sanitizers that will keep your toothbrush bacteria and germ-free. There are not a lot of factors that you need to consider while purchasing a toothbrush sanitizer. However, it is better to go in prepared so you get the best product for your own personal needs. Here are a few minor things you should keep in mind while shopping for a toothbrush sanitizer. Some toothbrush sanitizers only sanitize one toothbrush at a time. If you are a single person, that is the perfect one for you. However, if you have multiple people in your household, you need to invest in a toothbrush sanitizer that can accommodate more brushes at the same time. If you travel a lot, investing in a portable toothbrush sanitizer makes a lot of sense. However, if you simply need a toothbrush sanitizer at home, it makes financial sense to invest in a wall mounted one. 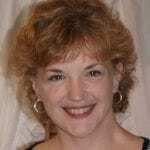 There are benefits to both of them but generally, it boils down to your personal needs. We do recommend that you invest in both, so when you are on the go, you can easily sanitize your toothbrush without having any worries. Most toothbrush sanitizers come with a built-in battery or run on standard batteries. So if you’re traveling, you may want to keep an eye on how long the sanitizer works before running out of juice. It’s not a big deal if you have one at home, but during travels, it is important to take note of this. They basically work by projecting the ultraviolet light on the toothbrush. Ultraviolet light can produce various results that depend on the wavelength and the power of the light. The electromagnetic waves generated by the ultraviolet light can affect the DNA of microorganisms. Viruses and bacteria as die when they are exposed to ultraviolet waves. Thankfully, this type of radiation has absolutely no effect on humans. These were some of the best toothbrush sanitizers to stay healthy and germ-free. We hope that you found the perfect match for your needs on this list. We included various different types of toothbrush sanitizers so that there are a lot of options available for you to choose from. Toothbrush sanitizers are almost essential in this day and age. With their affordable pricing, it makes perfect sense to invest in one of the best toothbrush sanitizers. If you have any questions, concerns or suggestions, feel free to talk to us in the comments. We always love to hear from you.